Ilme new MIXO RJ45 inserts can be supplied in the new CAT. 6 Ethernet version adequate for 10 Gigabits connection. – the possibility to use IDC connectors (no crimping tongs required). 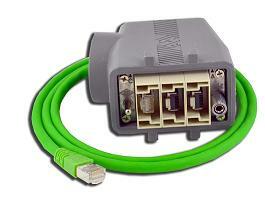 The inserts can also be used with a male RJ45 patch cord with 8 data contacts available in various cable lengths. If you would like some information emailing on Ilme new MIXO RJ45 Inserts or require a quotation, please get in touch with us.